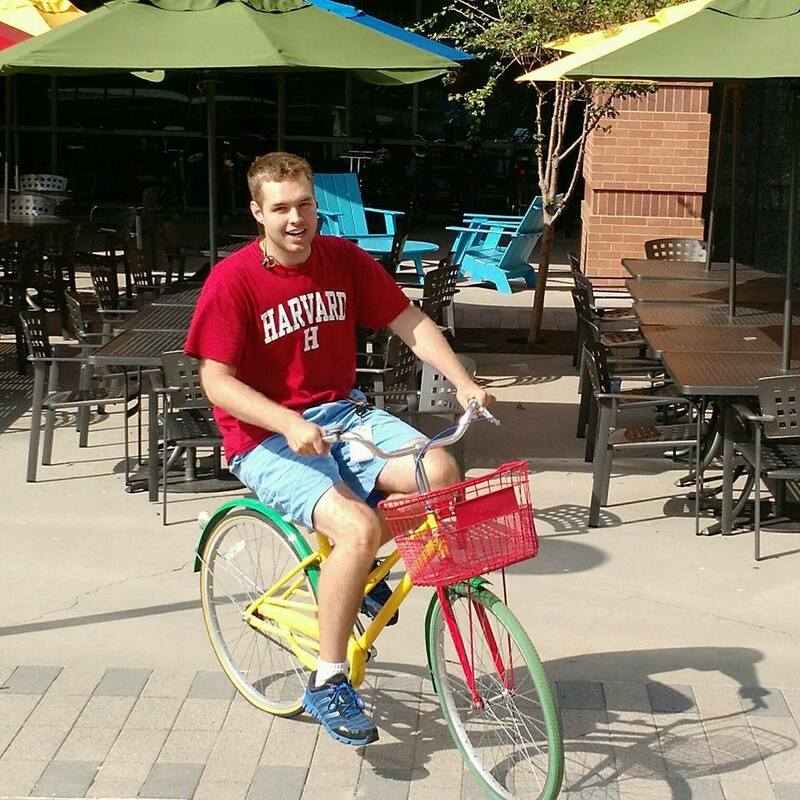 Google Software Engineering Internship in Mountain View, CA! 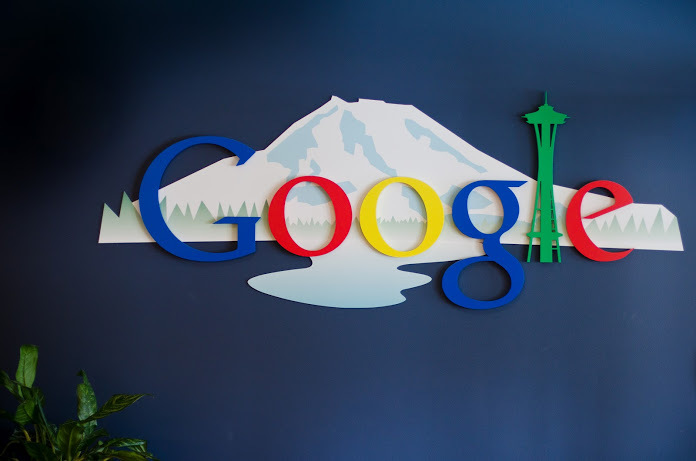 People who know me know that I’m a big fan of Google and all of the projects that people working there do. I like to think that I’m a fan of the future and the people that are making things that were once only science fiction into a reality for everyone in the world. That’s what drives me to Google, and this summer I got to return for another summer internship, this time at the Mountain View, CA location working on the awesomely fitting Medical Knowledge Research Team. When I applied saying that I would love to come back after college but only for a summer because I would be going off to Harvard Medical School in the Fall, someone found the perfect role for me and I loved it. I can’t share too much about my actual work, but my team is doing cutting edge research on applications of machine learning in the medical field. I implemented an end-to-end Android app and corresponding web service for my project. I got to work through the process of going all the way from from an idea, through design and testing, to a demonstrable tool created to be easy to use and highly impactful. I learned a lot and developed my skills as a software engineer, a designer, and as an interviewer of future users of my project. I made the most of my time at Google and scheduled a lot of lunches and meetings with awesome people there, including Dr. Kapil Parakh, MD, Dikembe Mutombo, and a reunion with Peter Norvig and Jeff Dean. I also got really involved with organizing events and lunches among the thousands of interns at Google and made a website internally which became pretty famous called go/intern-events where people could suggest events or lunches at a given time with a max attendees and people could sign up for them. It became a fun side project and through it I got to try out my first escape room with 12 other interns! I also was honored with being highlighted in an internal email digest as one of “eight interns with extraordinary backgrounds.” In addition to walking in the SF Pride Parade right after gay marriage legalization, the Darpa Robotic Search-and-Rescue International Competition, and and going home for the Fourth of July, this was a pretty amazing summer! Next up, Harvard Med! 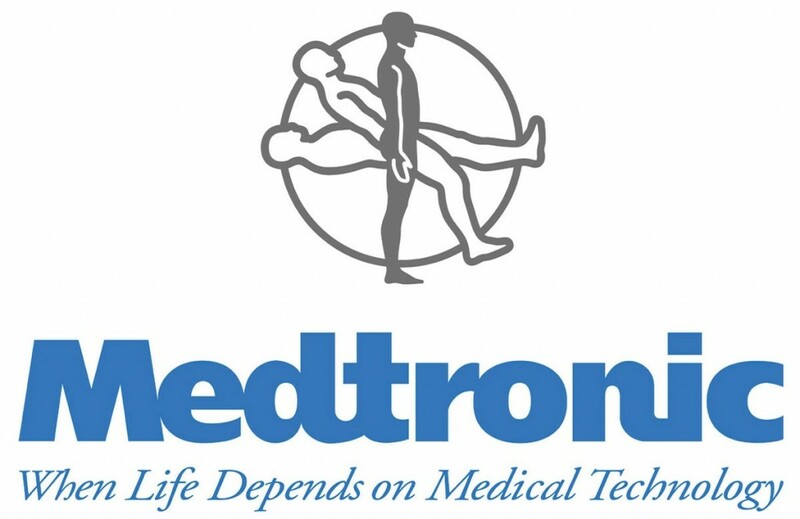 When I was an intern at Medtronic, I learned that many of their devices and surgical tools were thought up by surgeons who had recognized a need from their operation experiences. I hope that as a doctor with a background in engineering, I too, will think of solutions if I become aware of unique needs. 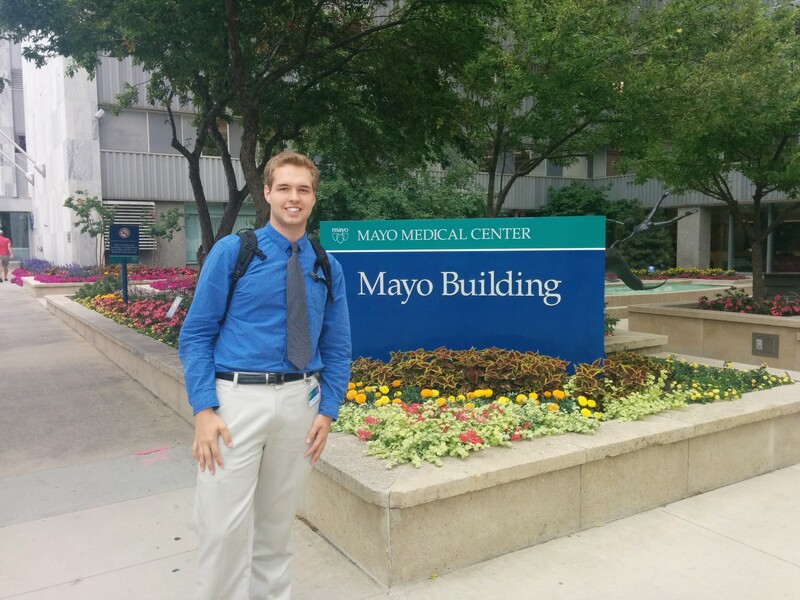 Even with a 2 hour commute, I am so glad to be working at Mayo Clinic Ventures in Rochester, MN for the 2014 summer. 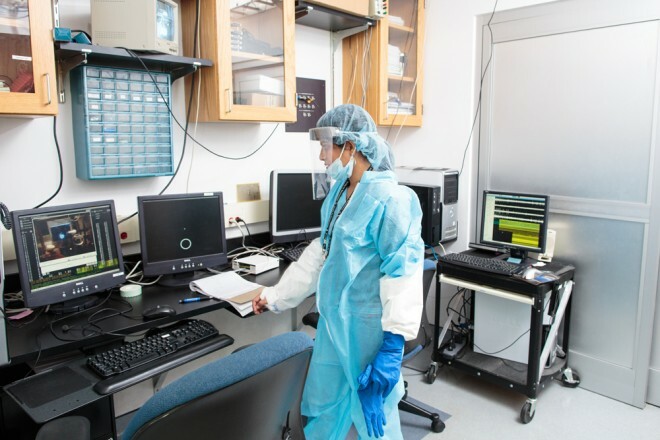 Mayo Clinic Ventures helps doctors develop their ideas and discoveries that will “truly transform healthcare.” I worked with innovative doctors to help develop their ideas by critically analyzing and verifying their merits while trying to evolve them into powerful applications. I have been volunteering in the summer of 2014 each week at the Courage Kenny Rehabilitation Institute to aid the participants of the ABLE program. The ABLE program is a unique research based fitness program to try and help people with severe spinal cord injury to regain function. 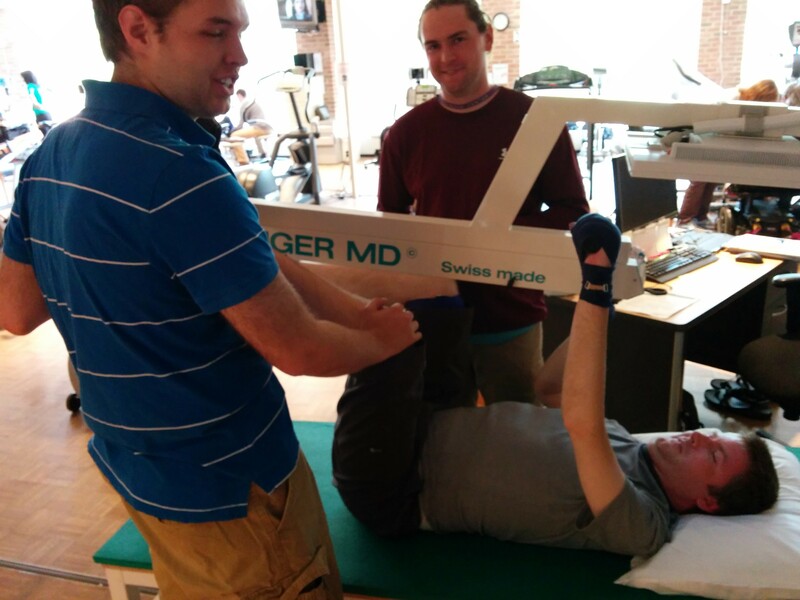 Always working in teams of supporters, I help the patients do workouts like running on a treadmill or standing and stretching that they normally couldn’t. By working out and seeing themselves in a mirror, the hope is that this will retrain their neural connections. The research is funded by the Christopher and Dana Reeve foundation and I have greatly enjoyed working with and getting to know the ABLE patients. "Gavin is hands-down one of the Googley-ist interns I have ever met. He has taken so much initiative to get the Sea/Kir interns in touch with one another and creating community - something that is necessary and takes extra effort." While I wasn't busy working on my project, I had the chance to hike around the Seattle area and a group of interns went to Vancouver by train for a weekend and stayed in a hostel! I would highly recommend Whirlyball to anyone who hasn't tried it. My team all went to play Whirlyball together one day and it was a blast. I also really enjoyed going on a thriftshop themed boat cruise with the other interns and also organizing an event for all the tech interns in the area which 70+ interns from Google, Microsoft, Amazon, and Facebook came to! UPDATE: My project was recently announced in a blog post here under the name "Control Room". It's so great to see what started as an idea turn into a full fledged feature. Since the end of my freshman year at Duke, I've been involved in the Nicolelis Research Lab at Duke as an undergraduate volunteer. In the lab I get to work with Rhesus Macaques directly and I help to research the field of Brain-Machine Interfaces. This technology allows a monkey to control a computer or robot through brain control alone using neural electrodes. Also, the Nicolelis Lab is one of the few labs in the world which has been working on sending information back to the brain which is what I am really interested in. I'm really excited for what this Lab is working on and I am happy to help! "Outstanding worker, shows initiative and creativity in approaching and solving problems, outstanding level of technical competence, superb communication, time management and group coordination skills – mature beyond his years."